Ganha até 0,37 US$ com a Kinguin Mafia! Sabe Mais! 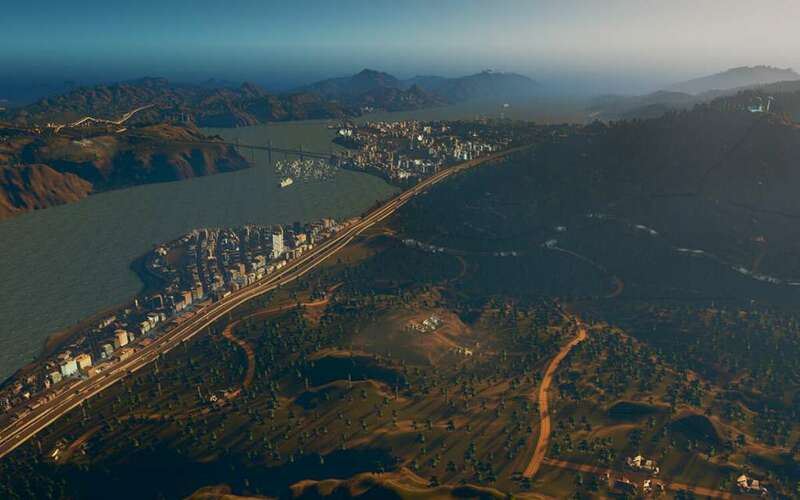 É necessário o jogo base Cities: Skylines na Steam de forma a poder jogar. Night time is fun time! 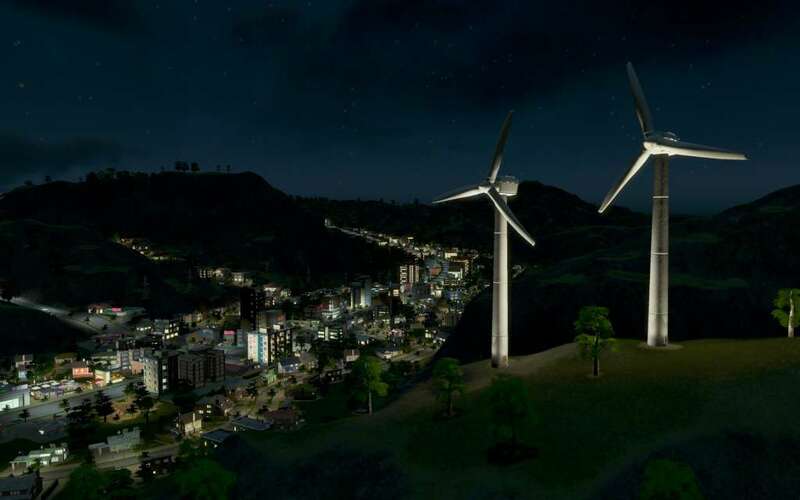 After Dark is the first expansion to the hugely popular classic city simulation Cities: Skylines. 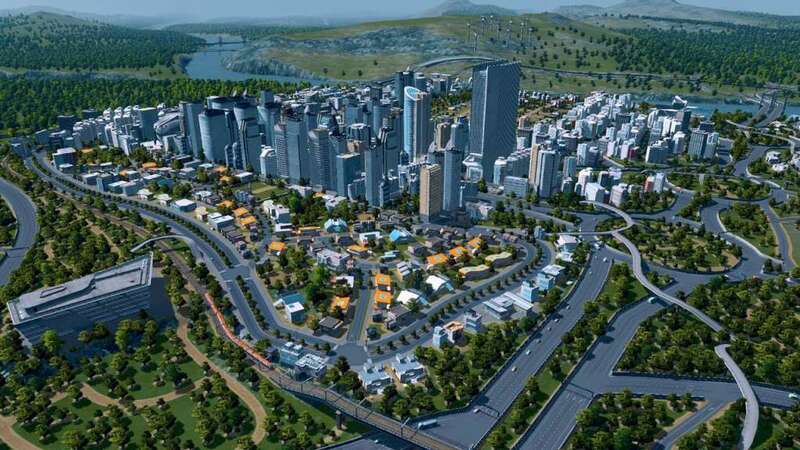 The game expands on the repertoire of features and customizations designed to enhance the thrill as well as maintain the challenge of the city building experience. 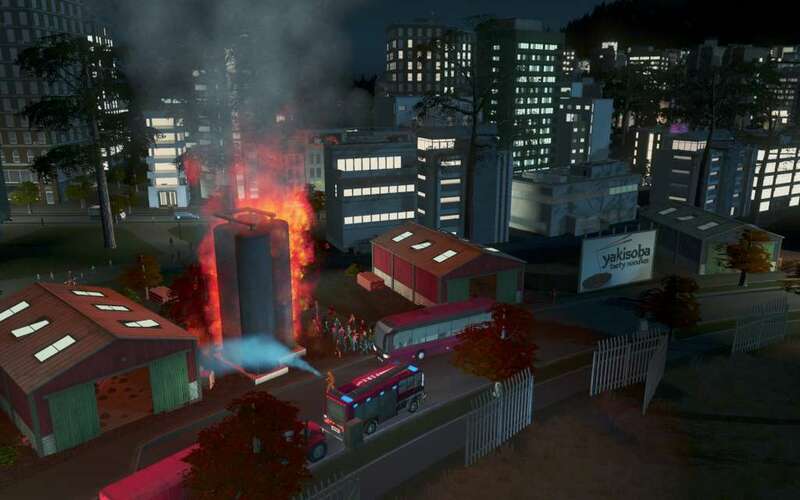 Developed by Colossal Order and published Paradox Interactive, the central feature of the latest expansion is the day and night cycle, which alters the approach to managing your city. Will you construct a bustling city that lives and breathes at night or will your city succumb to the perils and misadventures of night life? You’re only limited by your imagination, so take control. The sky is the limit! 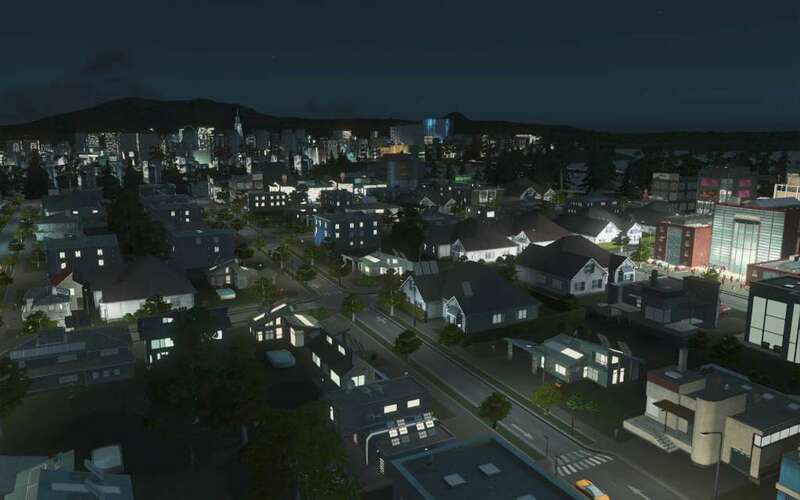 Find out what life is like in the city when the sun goes down! 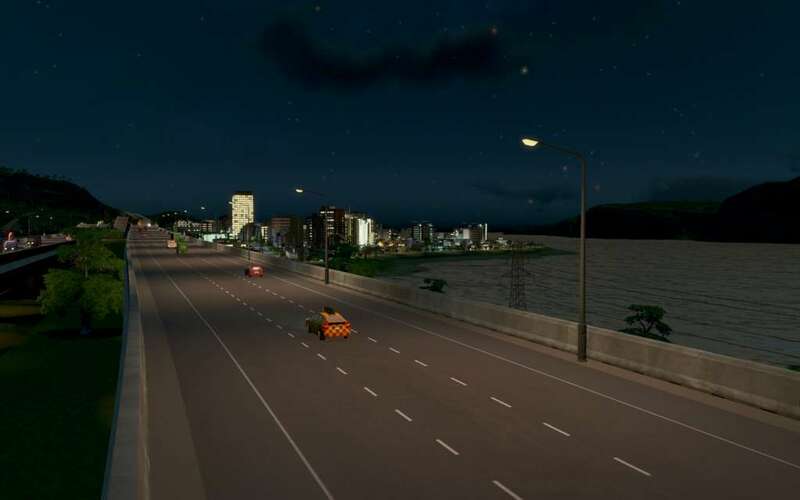 Day and Night Cycle: Day and night changes in the city and affects citizen schedules. Traffic is visibly slower at night and some zoned areas do not work with full efficiency, further easing the traffic. Service vehicles move around as usual. A free update for all users. Leisure specialization: Commercial areas can specialize in leisure activities. Leisure areas are especially active during the night, but work like regular commercial areas during the day. Beach specialization: Commercial areas such as beach bars and restaurants, small marina and fishing tours on the shoreline can specialize in beach activities. Expanded City Services: Criminals will now be taken to Prison from Police buildings. Taxi service will help citizens and tourists travel around the city. Cargo hubs are harbors that accept cargo trains straight to the terminal. International airport is a huge airport, allowing much more traffic than the previous airport. It has a metro station attached to it. Bus terminal allows citizens to transfer to other bus lines in the terminal building. New transportation options: Bikes and dedicated bike lanes and bike ways let citizens opt for a faster alternative to walking. Bus lanes can be used to help the public transportation run smoother.